Scarves are prefect for this time a year when the weather is still in transition and your guess at the temperature is just as good as any forecast. When there’s a chill, wear it around your neck… when it’s warmer, move it down your waist and wear it as a skirt over your pants. You can recreate this look – scarf, sunglasses and black Spiewak jacket and all – at Amé Amé. Amé Amé is located at 17 W 29th St, NYC, between 5th avenue and Broadway, across the street from the Ace Hotel. 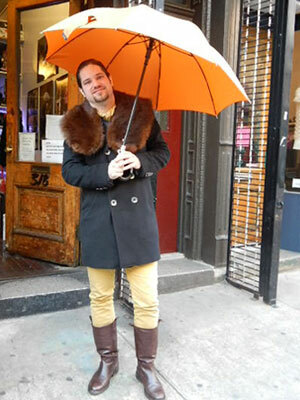 Having an umbrella can be the essential fashion accessory to spice up any outfit! 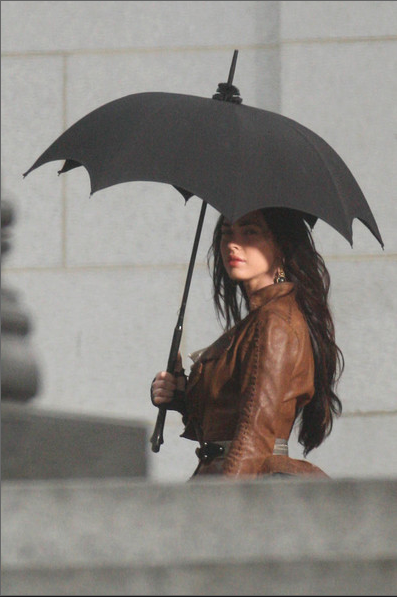 We love how celebrities Katy Perry and Megan Fox use their unique umbrellas to complement their individual styles. Katy’s Japanese umbrella makes the outfit; it helps to tie together her dress and pink hair, and shows how the umbrella can be the greatest form of self expression. 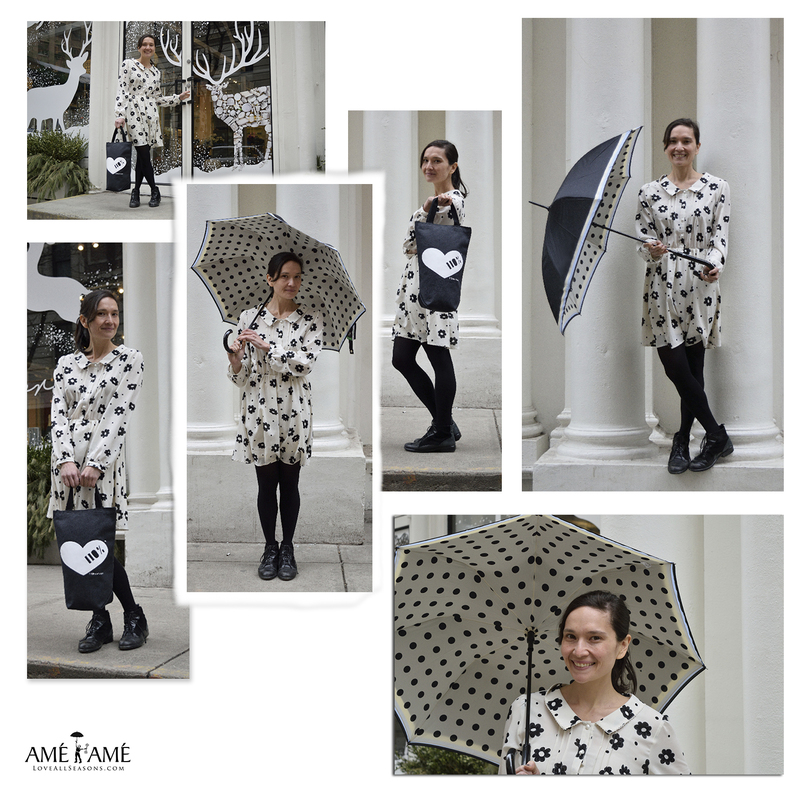 The shape of this umbrella makes Megan’s outfit much more interesting, and is the key to her stylish look. Grey rainboots are a nice alternative to black and softening outfits. I also like how a grey outfit can make a grey day feel special for being grey. Grey Kamik Rainboots. Faux Grey Wolf Handbag with Leather Handle. Grey Fascinator mini-beret. All sold at Amé Amé in the East Village of NYC on the 9th Street. Afraid to move beyond a black umbrella? 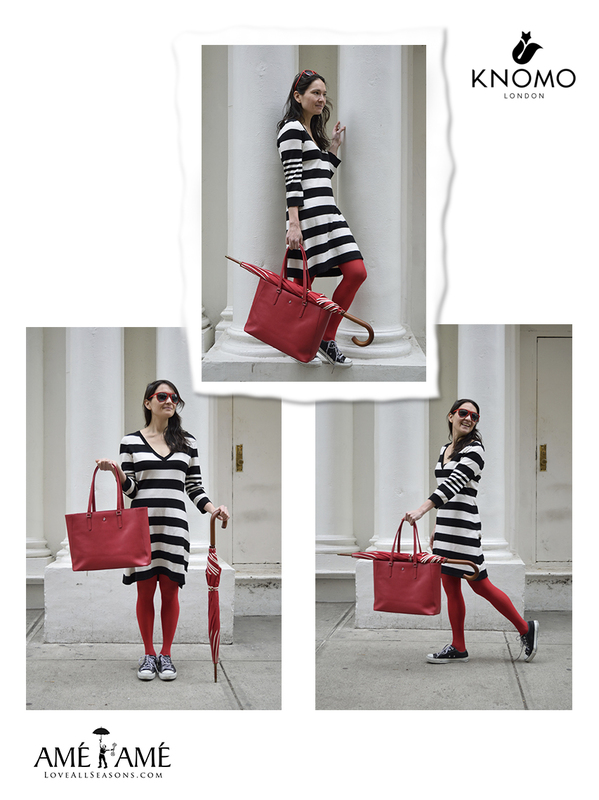 Take baby steps with a lux grey umbrella. 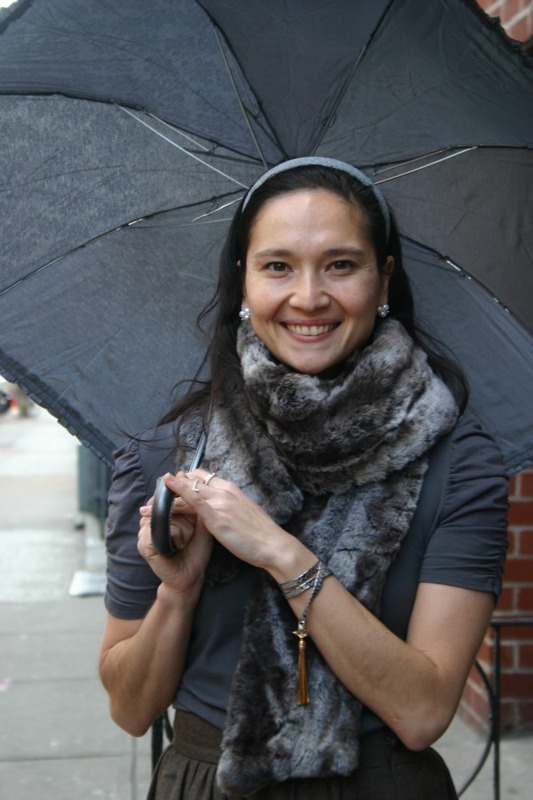 Grey Contessa Umbrella. 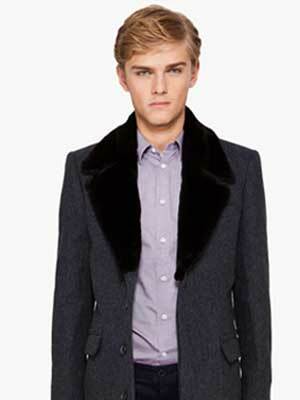 Faux Chinchilla Grey Scarf from London by Moore and Moore. Silver Wrap Tassel Bracelet by Emily Kammeyer. Fresh Water Pearl Earrings with Cubic Zirconinan accents that look vintage. All found at Amé Amé. 318 E 9th Street.